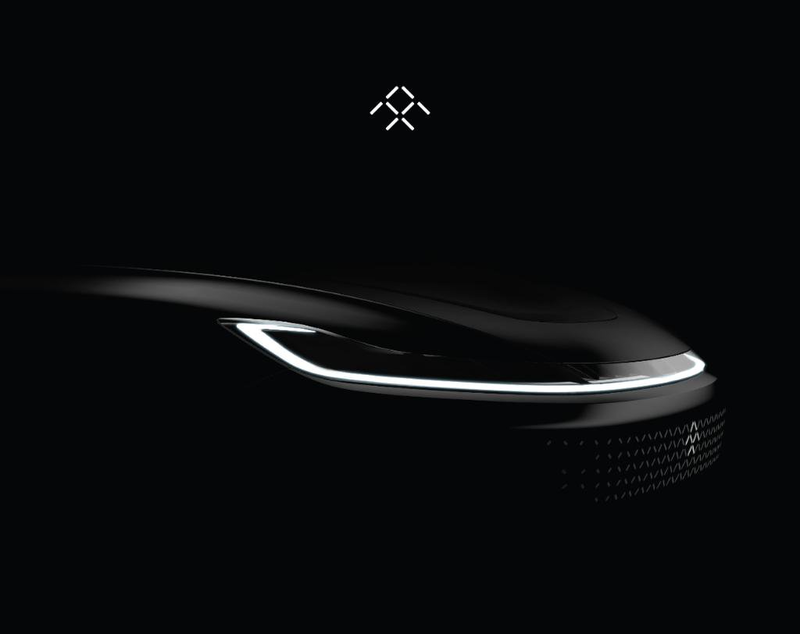 Electric vehicle startup Faraday Future will try to redeem itself at CES next month after disappointing EV enthusiasts at the same event last year by unveiling the shell of a concept car after much hype. This time, the company promises to unveil its first production-intent electric car, and they released the first teaser today. We have already seen the vehicle, which has the size and shape of a crossover not dissimilar to the Tesla Model X, but it was heavily camouflaged on prototypes out for testing. The teaser released today shows the front fascia and reveals the headlight design as well as what appears to be a fake grille. But it’s only a teaser of a small part of the vehicle. Maybe it works well with the rest of the concept. We will give them the benefit of the doubt for now. Recent reports that the company is running out of money and that they have stopped work at their $1 billion electric vehicle factory in Las Vegas have cast doubts on their ability to deliver the vehicle. While it has certainly delayed their ambitions, the company seems far from dead since Jia Yueting, CEO and Chairman of LeEco (FF’s main investor), recently announced having secured $600 million in funding to back his electric vehicle ventures, which include Faraday Future. It’s a lot of money, but as we recently reported, several electric car startups have managed to raise similar amounts of capital over the last year. The company will have to nail the event on January 3rd and unveil something in Las Vegas that differentiates itself from the competition. We will be there and report on what could be a make-it-or-break-it moment for the startup.